Jazz dance shoes are designed especially for enhancing a jazz dancer’s performance while executing lunges, pirouettes, kicks and complex choreography. Jazz dance preceded the invention of jazz shoes, and so the history of jazz shoes reflects the history of the dance style itself. 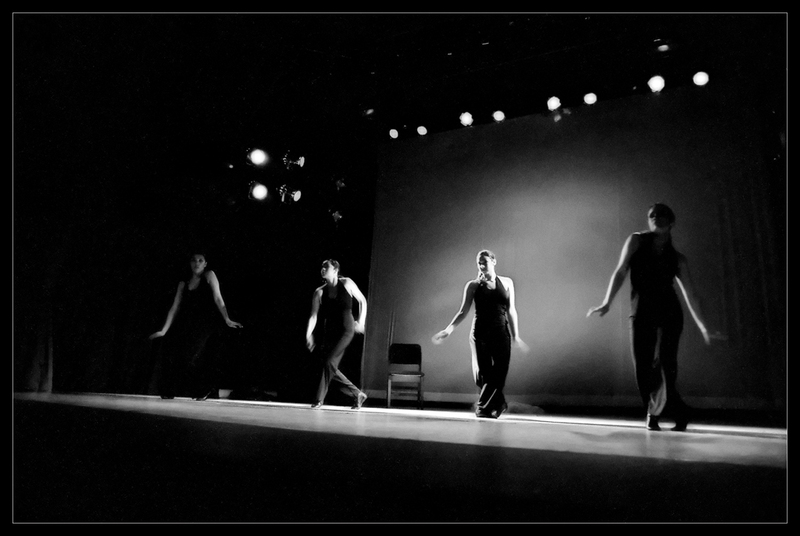 Jazz dance evolved from a varied combination of sources. In its earliest form, it was influenced by African tribal dances, tap dancing and vaudeville shows. Early jazz dancers wore vaudeville costumes, which they typically accessorized with tap dance shoes. At the time when swing dancing, the jitterbug and the Charleston emerged as trendy dance styles, jazz dance grew in a direction that separated it from tap dance. Jazz dance evolved into its own niche. Later, jazz dance also incorporated influences from modern dance, ballet and other styles. Split sole shoes allow you to easily point and flex your feet. Since jazz choreographers often incorporate flexed feet into their dance routines, it’s ideal to wear jazz shoes that flex comfortably. There are split sole sandals and also split sole shoes that are fully enclosed. These shoes are flexible enough to just slip right on and off of your feet. These shoes include laces, and they can be tied and untied. This style of shoe works well for jazz dance routines that incorporate hip hop style dance moves, or other high-impact movements. They typically feature rubber soles, which absorb the impact from jumps, pirouettes and other movements that characterize hip-hop influenced jazz dance. Street dancers typically opt for this style of jazz shoes, because unlike formal jazz shoes, the dance sneakers are appropriate for use on pavement or surfaces outside of a traditional dance studio environment. Jazz shoes are best suited for jazz dancing because they are engineered specifically with jazz dancers’ needs in mind. Jazz shoes perform differently than a ballet point shoe, a tap shoe or any other kind of dance shoe. Excellent jazz shoes empower you to comfortably execute complex footwork. They’re light and flexible, and they grip the floor without sliding. They won’t leave marks or scuffs on a floor. A variety of different elements can affect which jazz shoes could be considered “the best.” Many dancers are loyal to a preferred brand because it fits their feet well and they are satisfied with the brand’s overall performance. It also depends on the details of the choreography the shoes will be used for, plus the latest trends in fashion. Other contributing factors include the style, color and quality of the shoes. Capezio is one of the most trusted footwear brands manufacturing dance shoes. The quality level of their products is high, and they make a wide range of shoe styles available. Bloch is best known as a manufacturer of pointe shoes and ballet slippers, but they also sell jazz shoes. Sansha is a European dancewear brand that maintains a global presence. Their product line includes jazz shoes, street dance shoes and a variety of other dance shoes, plus dance apparel. Black is one of the most popular colors for jazz shoes. Black coordinates well with a wide variety of different dresses, leotards, unitards and jazz dance costumes. Tan is another one of the most popular shoe colors for jazz dancers. This versatile shoe color is a great choice for accessorizing dance costumes in situations when you don’t want to draw excessive attention to your feet. Kids often get started with jazz dance lessons at an early age, and so they need appropriate shoes sized just for them. Jazz shoes for girls are available in a range of sizes, from toddler on up through teen sizes. Girls jazz shoes look and perform much like their adult counterparts, although you might also find some child-specific, cutesy styles available from time to time. There are many different styles of jazz shoes for women. Some are distinctively feminine, with many styles being more unisex and utilitarian in appearance. Style-wise, there isn’t much that differentiates a man’s jazz shoe from a woman’s or child’s. The standard designs are typically unisex in appearance. Masculine sizing is one of the main points of differentiation. Many dancers purchase their jazz shoes from dance supply outlets. These retailers tend to stock a varied selection of top brands, colors, fabrications and sizes. If you’re looking for cheap jazz shoes, Walmart is one possible place you could begin your search for the right pair. However, be aware that the selection at Walmart can be limited, and doesn’t typically include the highest quality brands. Payless is another source for buying cheap jazz shoes. Jazz dance is a fascinating topic, with many rich facets to explore. We hope this brief introduction to the history and current status of jazz dance shoes has given you insight into this enticing product niche, and empowered you with the knowledge you were seeking.